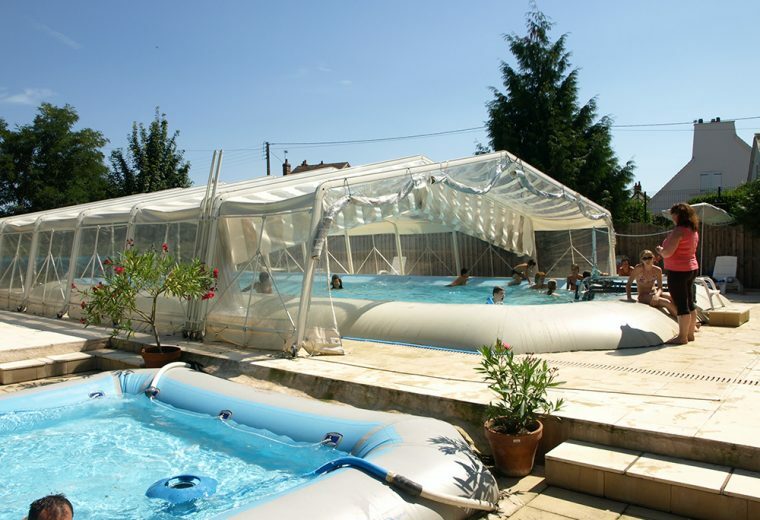 Our heated Zodiac pool, open from June to mid-September, is family-friendly and can accommodate both young and old safely. The wading pool is heated but not covered. Brave the weather from under the retractable awning all while enjoying breathtaking views of the town and castle. 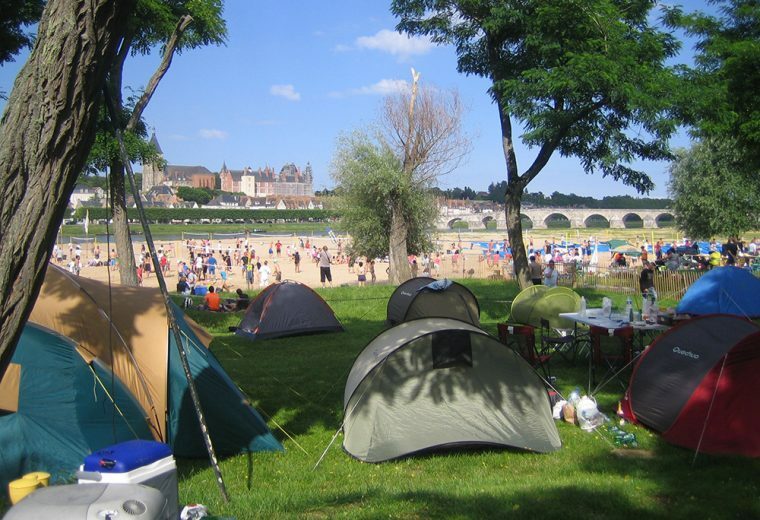 The Gien Tourist Campsite provides a play area, mini golf, a big trampoline and bar-restaurant with a beautiful terrace, so that you will be sure to enjoy your stay with us. In July and August, the Communes Giennoises Community Beach Club is open so that children aged 6 to 16 can enjoy beach activities supervised by certified coordinators, from 2:00 PM to 5:00 PM Monday through Friday. 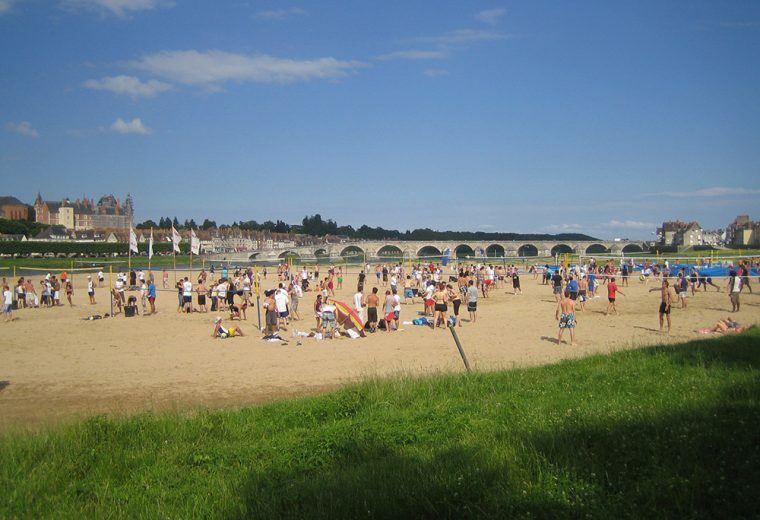 The beach volleyball courts at the Gien club are available for use all summer.